From our start in 1989, we have kept true to a balance of design & technology in order to provide our clients with thoughtful creative solutions along with secure and stable technology. It’s time to choose an interactive agency that provides your company with results. assigned to your account. The Project Management approach and attention to details you receive. We call that “TLC”. When it comes to the technology, it's about the tools, methods, processes and people that provide a streamlined development process. Last, but certainly not least, is the spot on thoughtful creativity that drives your customers to take action. We would be remiss if we didn't tell you a little bit about our storied past. We promise, there is a lot going on at L2 Interactive. For the past 25+ years, Lynch2, now L2 Interactive has provided our clients with the services that match their needs and reflect the times. In 1989, we started out providing training and consulting for desktop publishing, printing & prepress. In the early 1990's, we added multimedia design and development using videoworks, the precursor to Macromedia Director and Flash. In 1992, we made the cover of MacWeek Magazine with an innovative advertising technique using a floppy disc. Seriously. By the mid 90's we had launched our first eCommerce website. 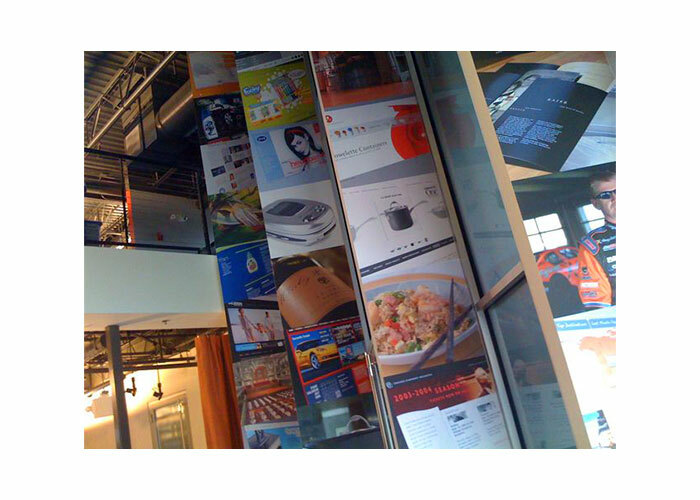 By the late 90's we had designed, developed and hosted over 100 corporate websites. In 1999, we developed our first version of eRube2 while working on the A.T. Kearney Global project. From 2000 to 2003, we built our first Performing Arts website for the Chicago Symphony Orchestra. Since that time, we have built a portfolio of work in the consumer products sector, travel industry and Performing Arts world. As the iOS explosion took place, we published our first app in the Apple store. As responsive design took off, we were there to provide our clients and their end users a seamless experience across devices. In 2011, at the Tessitura User Conference in Orlando, Florida, we launched mail2, an email marketing tool that is used by clients all around the world. mail2 sends over 1/4 Billion emails a year. In 2012, we transitioned our hosting into a scalable, fault-tolerant, cloud-based solution that is aptly named cloud2. In 2013, we are offering a new consulting service for our clients called split2, which allows A/B testing as a way to assess changes to your web page against the current live design and determine which ones produce positive results. As for the future, you'll see a continued commitment to our clients and additional products to drive our growth. It's important for us to operate our business with a structure and a set of guidelines. It's just as important that we have the flexibility to be agile and turn on a dime when needed. Over the years, we have refined and streamlined our processes within our organization to better work with our clients and to provide a consistent and predictable outcome. These processes are applied to our proposals, contracts, statements of work, planning meetings, requirements documentation, design, development, user acceptance testing, hosting, maintenance and support. What does this mean to an organization looking to select L2 Interactive as their online partner? It means we have the processes in place to provide a superior experience that blends strategy, research, creativity, and technology to develop measurable, smart and effective digital solutions. We get results. The technology that underpinns any web solution should act transparently, meaning, there are many that can get the job done, and users should never be aware of what the underlying technology is that drives a site. It should just work. Over time, we have found that some clients care about the technology we use to build their solutions, while others don't. Typically, IT cares because the technology resides in their domain while marketing wants results regardless of the technology. Our web based development efforts use open source technologies. We utilize a LAMP environment - Linux Apache MySQL and PHP. Open source provides many benefits including; reliability, stability, security, quality, customization, freedom, flexibility, interoperability, audit-ability and cost. We don't set a goal of winning awards. We set a goal of producing great work that moves our clients forward and grows their business. In the end, if we win a few awards, who's complaining? We have always believed it's our people that make the difference. The technology is a means to an end. We are always looking for talented and creative team members to build beautiful and thoughtful applications. We also strongly believe in the power of teams, not individuals. If that describes you, send us your resume and cover letter and we can become acquainted. Remember, your cover letter is your opportunity to tell us why we should look at your resume, so be sure to let us know about yourself!